Connect with the Best Psychic Readers and explore your life path today! Psychics Connect has been a trusted provider of remarkable Phone Psychic Readings for over 20 years. We take pride in the selection of Psychic Readers that we have. Most of them are Clairvoyants, Tarot Readers, Crystal Ball Readers, Love Psychics and Spiritual Mediums. Each Psychic Reader has their own unique way of using their psychic abilities but all share a common goal of delivering life-changing spiritual insights that will leave you empowered and ready to face whatever life throws at you. Our phone Psychics can help you with any life issue - may it be a relationship difficulty, concerns with your career and finances, health problems, family matters, personal development issues, crossroads of decisions, or even the need to know what the future holds, Psychics Connect is here to be your friend and companion. You don't have to go through life’s ups and downs on your own. With the help of Psychics Connect's intuitive Psychic Readers who are ready to take you call 24/7, you will have the power to understand your past, gain clarity about your present situation, and discover a way to a better future. For more than 20 years, Psychics Connect has been providing comfort and peace of mind to many people from all walks of life, making them feel that they are not alone in their struggles. With genuine Psychic abilities, a touch of sincerity and passion for helping others, our phone Psychics reveal a new perspective to you, resulting in a feeling of self-belief and empowerment. A grandmaster and intuitive spiritual experience since 1989 focused on delivering clarity wisdom and direction. Laurie is sincere honest and straight to the point. She is an authentic clairvoyant. Revealing answers to your questions. On your past, to the present, and concerns of your future. Laurie is born with all natural abilities that give her the power to make predictions from today to tomorrow from this life and the next. Her advice can help many of your everyday problems predictions. Laurie can help you overcome emotional distress using a variety of psychic methods that have been provided for centuries. Laurie's wisdom comes from experience, and her excellent advice brings balance to your mind, body and Spirit! 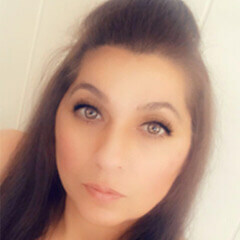 Laurie is available for Tarot Readings, Psychic Readings, Clairvoyant Readings, Medium, Spirit Guides Readings and Crystal Ball Readings. Extra minutes are charged at £ per minute should you decide to extend your reading. and enjoy FREE psychic readings! We're pleased to have offered over 5000 free readings since 2008. It's free and easy to join. When you've had 10 twenty-minute readings you'll receive a FREE psychic reading worth your average reading duration. Sign up to future special offers from Psychics Connect! HISTORY | Psychics Connect began its spiritual journey in 1997 from the Highlands of Scotland offering one-to-one psychic readings. Since then, we have continued our mission of providing the best psychic readings by phone that will be of great solace to many people in times of need. BEST PSYCHIC READERS | Over the years, Psychics Connect has remained selective in recruiting gifted Psychics from the United Kingdom and Ireland, United States, Australia and New Zealand. We invest time and effort to get to know our readers and their amazing abilities. Aside from their talents and years of practice, our Psychics have the passion for what they do, compassion for our customers and sincerity in their psychic readings. CULTURE | Our culture and values have defined who we are, guiding Psychics Connect to deliver a continued service of high quality and integrity to enhance the experience of our valued customers. We continually endeavour to fulfil this promise. CUSTOMER EXPERIENCE | From connecting to our caring Customer Service team to the incredible experience of the Psychic Reading, your overall interaction with Psychics Connect will be remarkable and sincere. Psychics Connect intends to offer you a genuine and reliable service and a real guarantee for your satisfaction. If you feel there isn't a connection between you and your chosen Psychic within the first 5 minutes of your Psychic Reading, you have the option to stop and connect to another Psychic. Just contact customer service 0800 082 0800 for assistance.